*Purchase the pixie pants in-store to receive a free white tee! I never got to an ON store, even after seeing that cute dress (that didn't make the cut for this post) on Instagram. I'm so obsessed with kimonos for the spring! F21 has upped their game this season. Kimonos are a cool alternative to a cardi and a lighter version for the cooler months, love them! I love the semi-floral print of that jacket - so pretty and delicate! 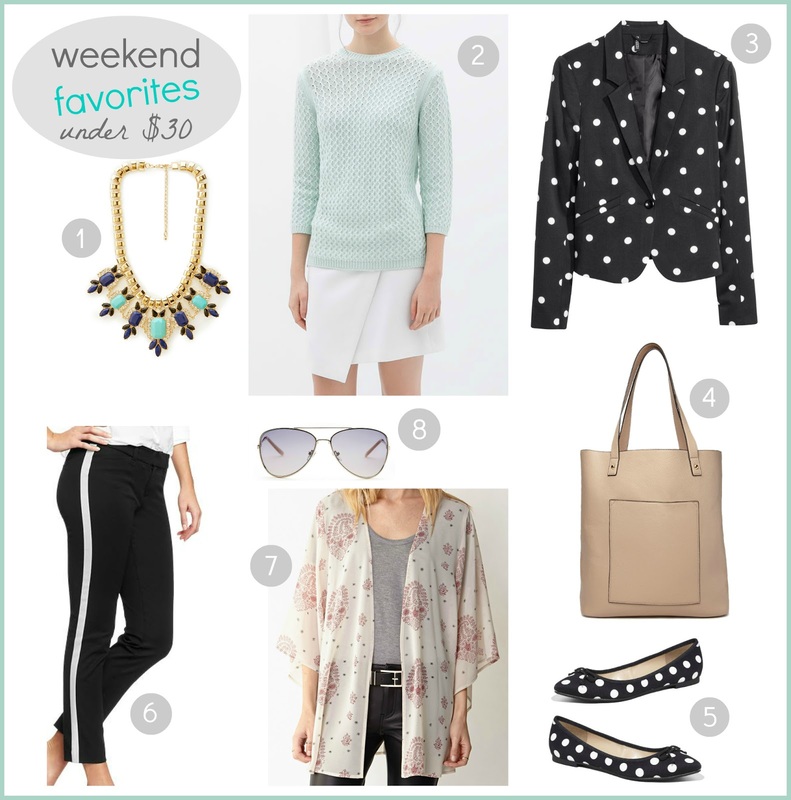 A gal can never have too many pastels or polka dots! And excuse me while i go RUN to buy that F21 necklace!! I really hope my mall has that one, it's amazing! I agree, never too many polka dots or pastels! Hope you can track down that necklace - it is so gorgeous!